I spent a few hours yesterday morning Luring Cocoa Creek with Dad. We tossed our Flatz Rat lures around from the top of the creek to the mouth. 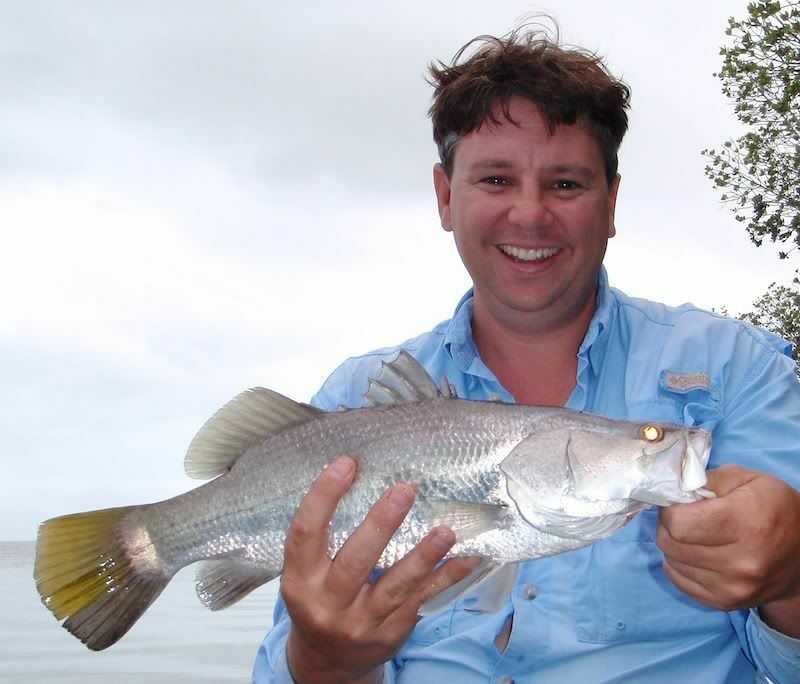 And after 4hrs I finally snagged a Rat Barra among the mangroves at the mouth. Cocoa has been hard fishing for a while now, so I think next weekend we might have to give another creek a go! It was pretty quiet in the creek, aside from a couple of campers on the bank well upstream, I think we were the only boat in there all morning. 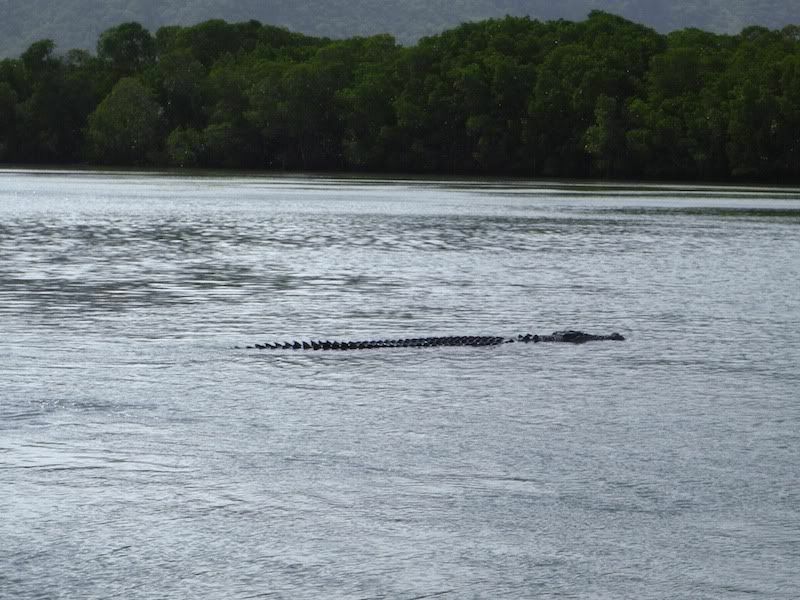 When we had finished and started our run back to the 'ramp' from the mouth, we spotted the croc that everyone talks about. 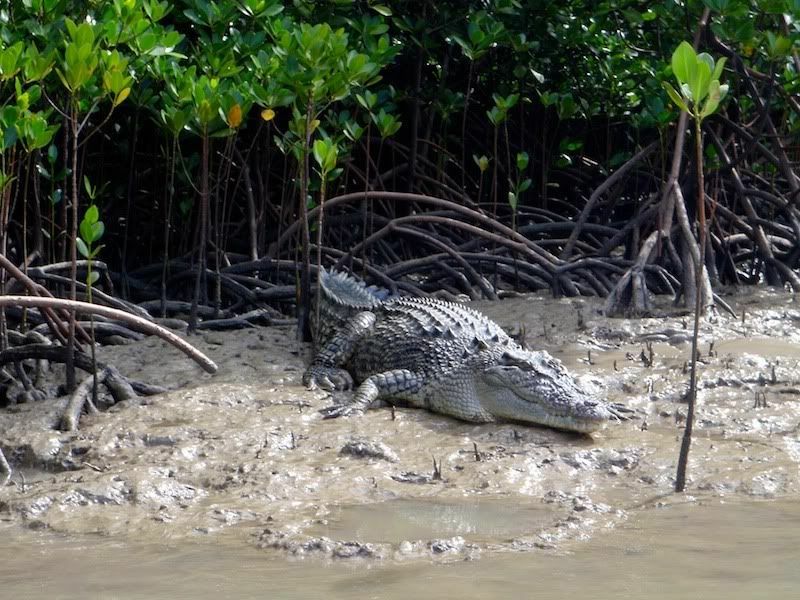 I have heard many times now about a croc that lives at the mouth of Cocoa, but had never seen him. As you can see from the pics he is there, and a pretty good size too. 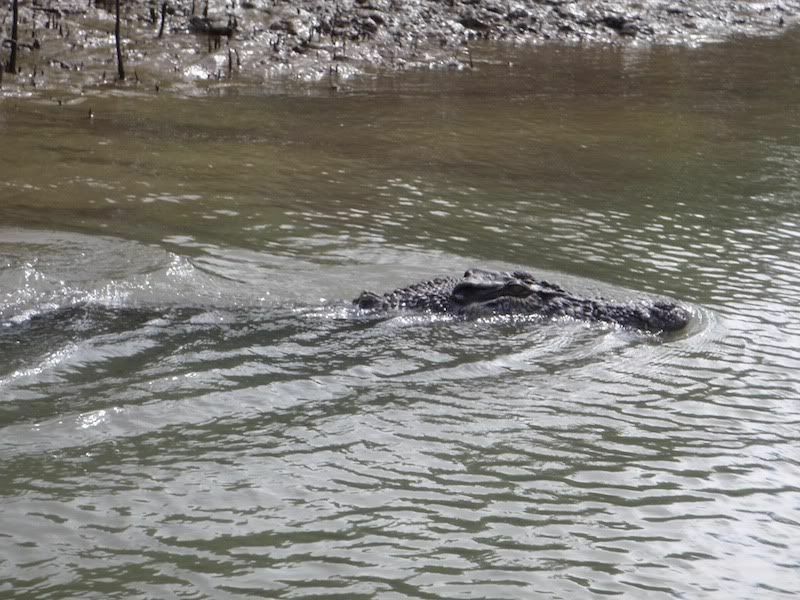 He didn't seem to disturbed by our presence, and simply slid into the water as we approached for a photo. 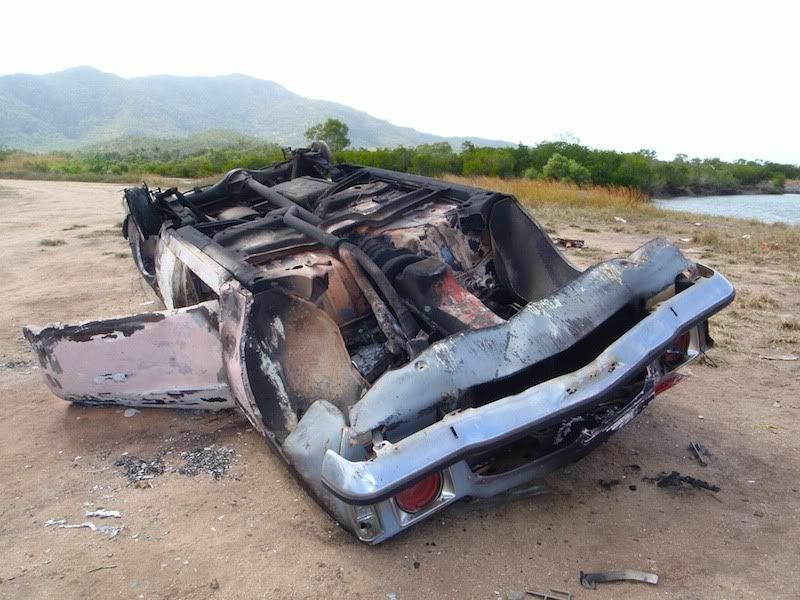 On another note, someone has dumped and burnt out a car on the bank near the ramp. I have no idea what type of person it takes to do something like this, it doesn't even look like a stolen car. Its missing some pretty vital components to drive the car here and then set fire to it. So I think its been dumped off a trailer. And that begs the question, why here? 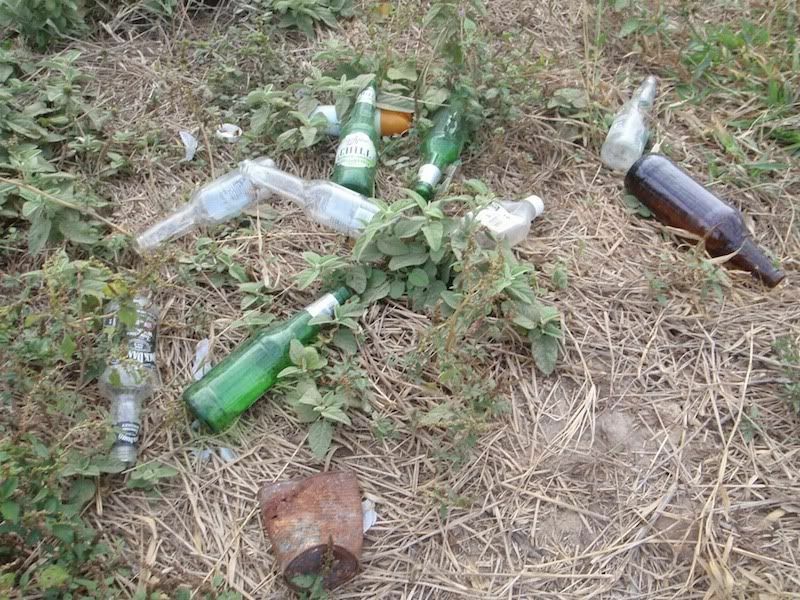 I guess I shoudn't be surprised, the amount of rubbish I have seen dumped on river banks in the last few week astounds me. And this is in some pretty isolated places where people have gone to a lot of trouble to get into and fish. One would think these people would have more concern for the environment they have come to enjoy. These pics are taken from an area on the upper reaches of the Bohle river. 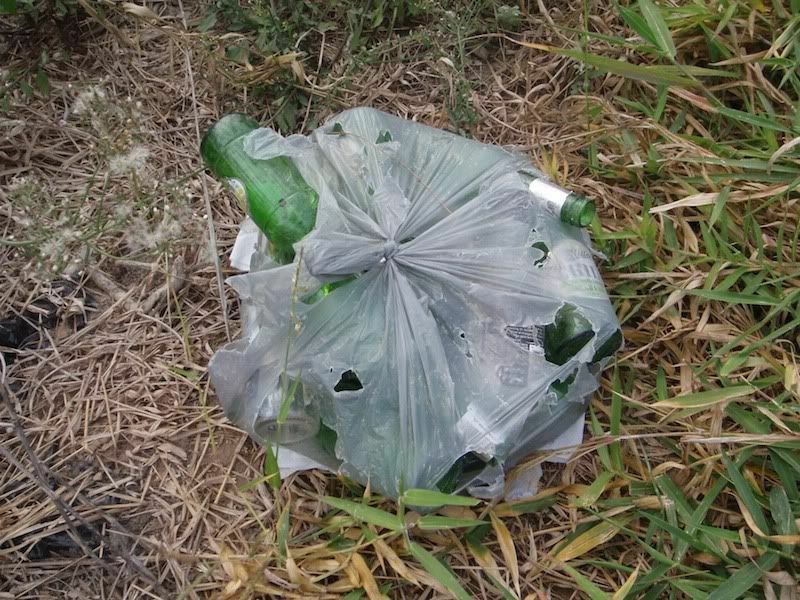 One individual even went to the trouble of packing up there rubbish into a plastic bag....and then dumped the bag! 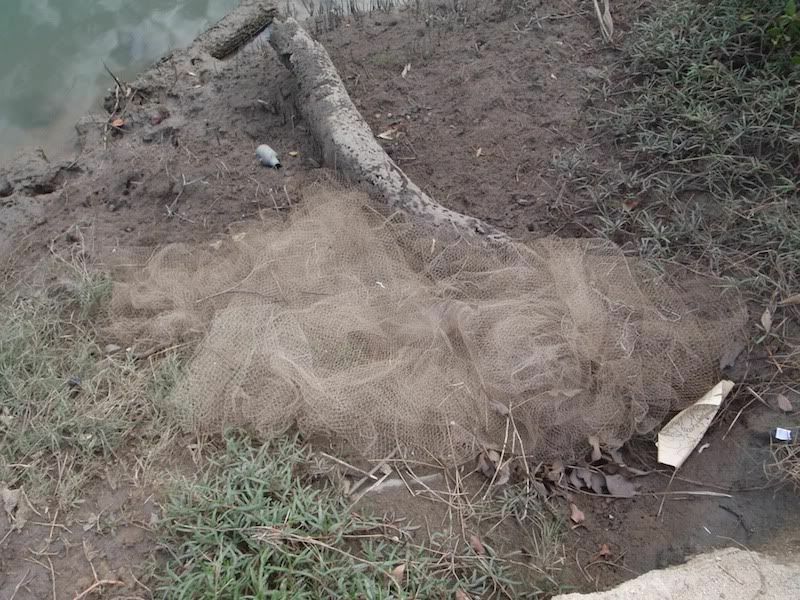 The dumped cast net had a dead snake in it that had obviously become trapped and died. These people really should be ashamed of themselves.